You can get yourself a free sample of Oh K! 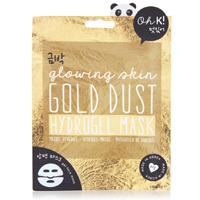 Gold Dust Hydrogel face mask as there are 5000 of these being given away. Follow our link and signup with your details and they will deliver it to you. Click GET FREEBIE button and then get your free face mask today.